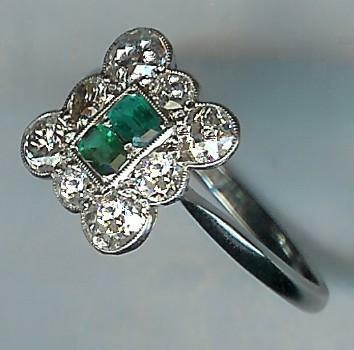 Fantastic 1920's Emerald and Rose-Cut Diamond Cluster Ring [SH6432] - £1,995.00 : loveVintageDiamonds.com, Your Vintage Diamond Dreams Come True! 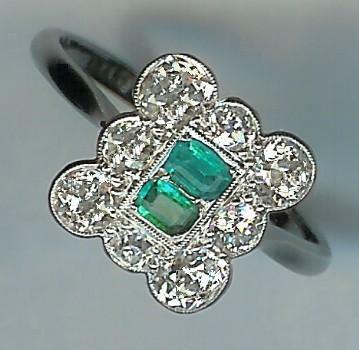 Wonderful ring, set with two oval emeralds of beautiful quality and colour, approx. 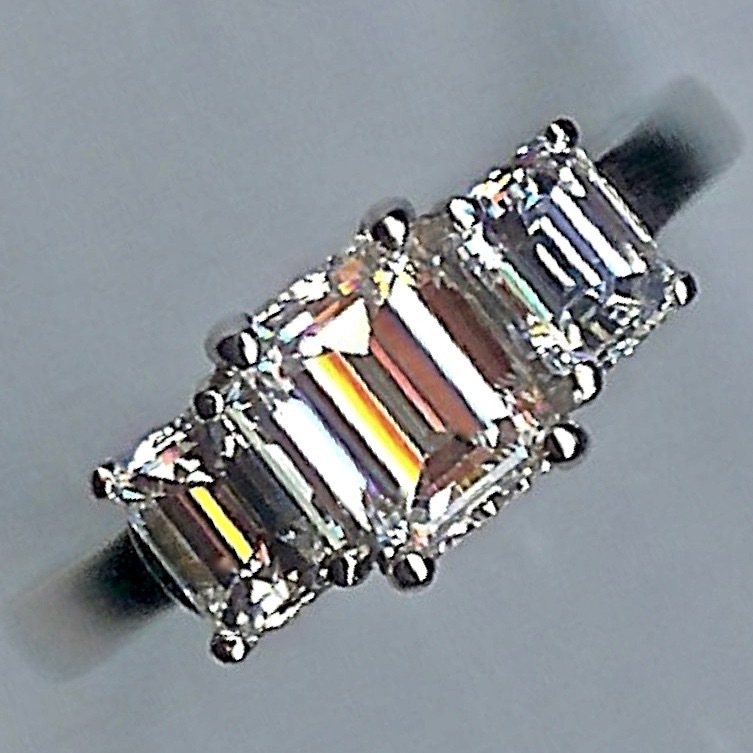 3.5 x 2.5mms, and eight old rose-cut diamonds in an oblong cluster design. 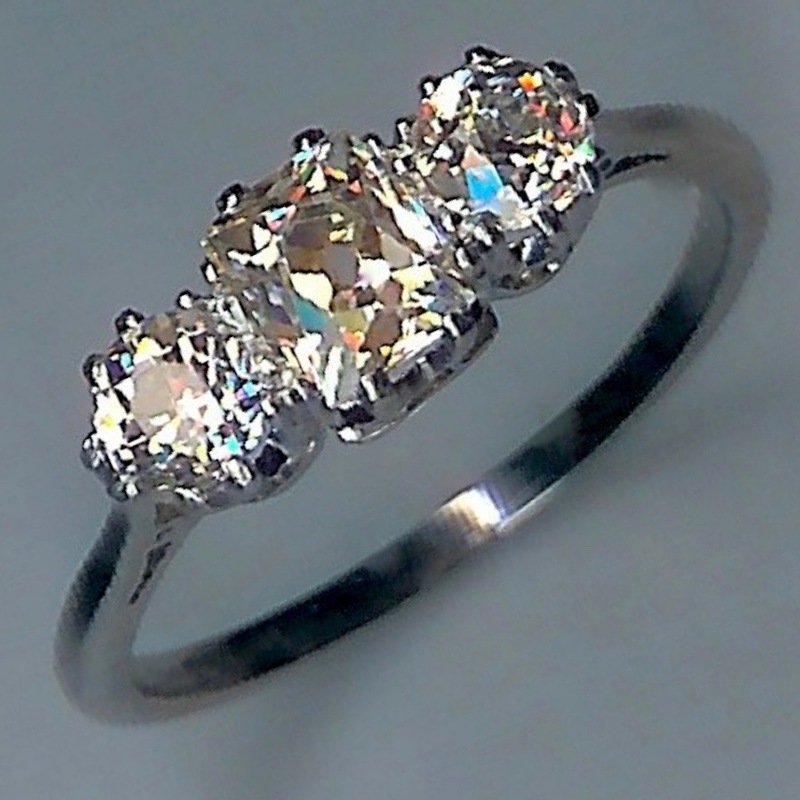 The diamonds are very clean, of excellent quality, and their combined weight is approx. 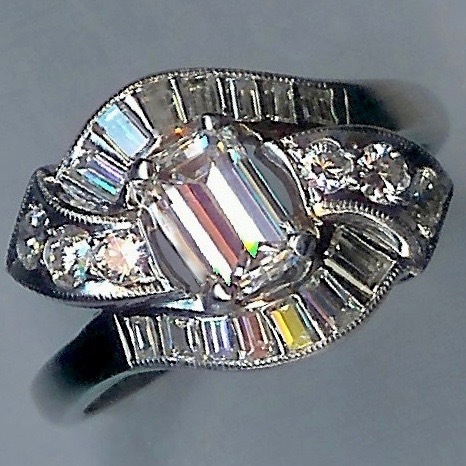 1.05cts. All settings and shank in white. 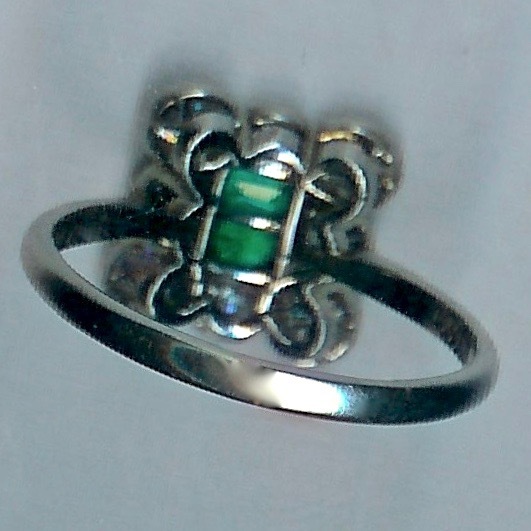 The overall weight of the ring is 3.4gms. 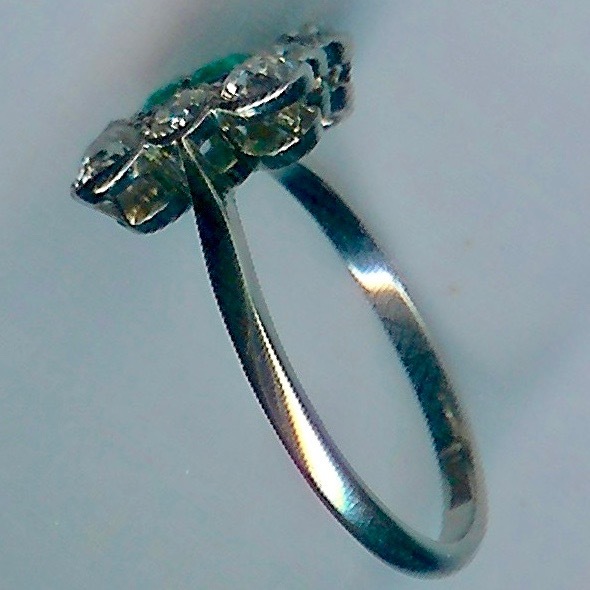 Marked '18ct&Pt' and tests as an 18ct gold shank with a platinum crown.